A former software engineer, Wayne has been painting for 10 years. He studied painting with Geoff Lasko at the Bemis School of Art at the Colorado Springs Fine Arts Center in Colorado. He is a member of the North Shore Arts Association. He attended a Plein Air workshop with Neil Hughes. He resides in downtown Gloucester and is continually inspired by the beauty of the Cape Ann landscape. Wayne Stimens A former software engineer, Wayne has been painting for 10 years. He studied painting with Geoff Lasko at the Bemis School of Art at the Colorado Springs Fine Arts Center in Colorado. He is a member of the North Shore Arts Association. He attended a Plein Air workshop with Neil Hughes. 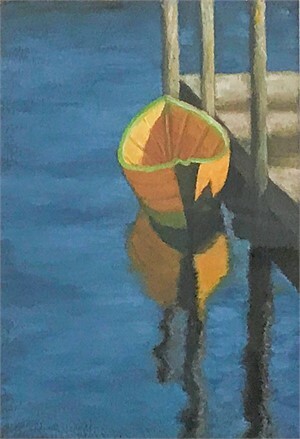 He resides in downtown Gloucester and is continually inspired by the beauty of the Cape Ann landscape.